Here at Rhopoint Components we can offer a vast selection of power resistors for various applications by a range of industry leading manufacturers including Alpha Electronics, Caddock, Isabellenhuette, RARA, Riedon and Susumu. Variety of package sizes both surface-mount and through-hole, resistance values, tolerances and other variables, as well as fully customisable options are available, with the most common options held in the UK stock for quick delivery. The MP2060 Kool-Pak® clip mount power film resistors from Caddock offer a resistance range from 0.005Ω up to 1KΩ and a power range of up to 60W continuous power at +25°C case temperature for 0.02Ω and above. The MMP2060 series tolerance values available are ±1.0% (as standard) ±2.0% and ±5.0% (depending on the resistance value required). These power resistors are in a TO-220 style package designed for clip mounting and offer non-inductive design for high speed switching, snubbers and RF applications. * Please see the datasheet for the derating curve. The MP725 D-Pak style surface-mount power film resistors from Caddock offer a resistance range from 0.02Ω up to 1KΩ and a power rating of up to 25W at +25°C case temperature. 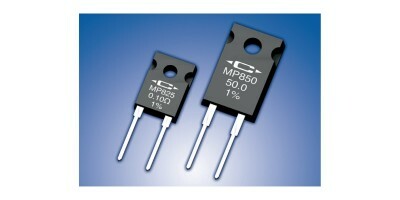 The MP725 series tolerance values available are ±1.0%, ±5.0% and ±20.0% (depending on the resistance value required). These resistors introduce Caddock's proven Micronox® resistance film system in the widely accepted D-Pak style surface-mount power package. The non-inductive design makes this resistor ideal in high frequency communications, power switching circuits, and snubbers. Use your thermal design experience with power semiconductors in D-Pak style power packages. This experience will help you get the most out of this unique family of surface-mount power resistors. The thermal design issues are the same where power handling capability is based on the case temperature which is maintained in your design. The MP820 Kool-Pak® power film resistors from Caddock offers a resistance range from 10Ω up to 10KΩ and a power rating of up to 20W at +25°C case temperature derated to zero at +175°C. The MP820 series tolerance is ±1.0% as standard (±0.5%, ±2.0%, ±5.0%, ±10.0% and ±20.0% are available for most resistance values). The MP820 Kool-Tab® power film resistors are constructed with Caddock's Micronox® resistance film fired onto a flat ceramic substrate which is thermally bonded to the copper heat sink tab. 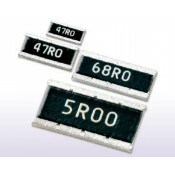 The resistor body is then moulded with a high temperature moulding compound to finish the metal tab TO-220 package. The lead wire attachment and resistance element geometry are configured to provide outstanding non-inductive performance. Use your thermal design experience with power semiconductors in TO-220 style power packages to help you get the most out of this unique family of power resistors. The thermal design issues are the same where power handling capability is based on the case temperature which is maintained in your design. The MP821 Kool-Pak® power film resistors from Caddock offers a resistance range from 0.02Ω up to 9.99Ω and a power rating of up to 20W at +25°C case temperature derated to zero at +175°C. The MP821 series tolerance is ±1.0% as standard (±0.5%, ±2.0%, ±5.0%, ±10.0% and ±20.0% are available for most resistance values). The MP821 Kool-Tab® power film resistors are constructed with Caddock's Micronox® resistance film fired onto a flat ceramic substrate which is thermally bonded to the copper heat sink tab. The resistor body is then moulded with a high temperature moulding compound to finish the metal tab TO-220 package. The lead wire attachment and resistance element geometry are configured to provide outstanding non-inductive performance. The MP825 Kool-Pak® power film resistors from Caddock include an integral metal mounting surface for highly efficient thermal transfer. The resistance range is from 0.02Ω up to 10KΩ with a power rating of up to 25W at +25°C case temperature derated to zero at +150°C. The MP825 series tolerance is ±1.0% as standard (±0.5%, ±2.0%, ±5.0%, ±10.0% and ±20.0% are available for most resistance values). Caddock MP825 Kool-Pak® Power Film Resistors are constructed with Caddock's Micronox® resistance film fired onto a flat ceramic substrate. The ceramic substrate is bonded to a copper heat sink which becomes the metal mounting surface. This assembly is moulded with the copper heat sink flush with the back surface of the part. The terminal attachment and resistance element geometry are configured to provide outstanding non-inductive performance. Use your thermal design experience with power semiconductors in TO-126 style power packages to help you get the most out of this unique family of power resistors. The thermal design issues are the same where power handling capability is based on the case temperature which is maintained in your design. The MP850 Kool-Pak® power film resistors from Caddock include an integral metal mounting surface for highly efficient thermal transfer. The resistance range is from 0.2Ω up to 10KΩ with a power rating of up to 50W at +25°C case temperature derated to zero at +150°C. The MP850 series tolerance is ±1.0% as standard (±0.5%, ±2.0%, ±5.0%, ±10.0% and ±20.0% are available for most resistance values). Caddock MP850 Kool-Pak® power film resistors are constructed with Caddock's Micronox® resistance film fired onto a flat ceramic substrate. The ceramic substrate is bonded to a copper heat sink which becomes the metal mounting surface. This assembly is moulded with the copper heat sink flush with the back surface of the part. The terminal attachment and resistance element geometry are configured to provide outstanding non-inductive performance. The MP9100 Kool-Pak® power film resistors from Caddock are a low cost, heat sink mountable design featuring an exposed ceramic heat dissipating mounting surface. The resistance range is from 0.05Ω up to 100Ω with a power rating of up to 100W at +25°C case temperature derated to zero at +175°C. 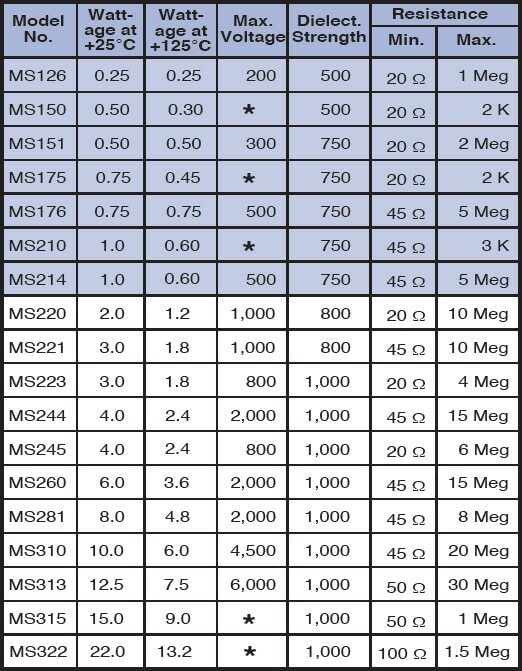 The MP9100 series tolerance is ±1.0% as standard (±5.0% and ±20.0% are available for most resistance values). The MP9100 series Kool-Pak® power film resistors are constructed with Caddock's Micronox® resistance film fired onto a flat ceramic substrate. The terminal attachment and resistance element geometry are configured to provide outstanding non-inductive performance. Low-cost heat sink mountable design featuring an exposed ceramic heat dissipating mounting surface. Use your thermal design experience with power semiconductors in TO-247 style power packages to help you get the most out of this unique family of power resistors. The thermal design issues are the same where power handling capability is based on the case temperature which is maintained in your design. The MP915 Kool-Pak® power film resistors from Caddock are a low cost, heat sink mountable design featuring an exposed ceramic heat dissipating mounting surface. The resistance range is from 0.02Ω up to 1KΩ with a power rating of up to 15W at +25°C case temperature derated to zero at +150°C. The MP915 series tolerance options available are ±1.0% ( standard), ±5.0% and ±20.0% depending on the resistance values required. The MP915 series Kool-Pak® power film resistors are constructed with Caddock's Micronox® resistance film fired onto a flat ceramic substrate. The terminal attachment and resistance element geometry are configured to provide outstanding non-inductive performance. The MP916 Kool-Pak® power film resistors from Caddock are a low cost, heat sink mountable design featuring an exposed ceramic heat dissipating mounting surface. The standard resistance values available are 0.01Ω and 0.015Ω with a power rating of up to 16W at +25°C case temperature derated to zero at +150°C. The MP916 series tolerance options available are ±5.0% ( standard) and ±20.0%. The MP915 series Kool-Pak® power film resistors are constructed with Caddock's Micronox® resistance film fired onto a flat ceramic substrate. The terminal attachment and resistance element geometry are configured to provide outstanding non-inductive performance. The MP925 Kool-Pak® power film resistors from Caddock are a low cost, heat sink mountable design featuring an exposed ceramic heat dissipating mounting surface. The resistance range is from 5KΩ up to 100KΩ with a power rating of up to 25W at +25°C case temperature derated to zero at +150°C. The MP915 series tolerance options available are ±1.0% (standard), ±5.0% and ±20.0% are also available depending on the resistance values required. The MP925 series Kool-Pak® power film resistors are constructed with Caddock's Micronox® resistance film fired onto a flat ceramic substrate. The terminal attachment and resistance element geometry are configured to provide outstanding non-inductive performance. The MP930 Kool-Pak® power film resistors from Caddock are a low cost, heat sink mountable design featuring an exposed ceramic heat dissipating mounting surface. The resistance range is from 0.02Ω up to 4.99kΩ with a power rating of up to 30W at +25°C case temperature derated to zero at +150°C. The MP930 series tolerance options available are ±5.0% from 0.02Ω up to 0.04Ω, ±1.0% from 0.05Ω and above, (±5.0% and ±20.0% are available for most resistance values). The MP930 series Kool-Pak® power film resistors are constructed with Caddock's Micronox® resistance film fired onto a flat ceramic substrate. The terminal attachment and resistance element geometry are configured to provide outstanding non-inductive performance. The MPM20 Kool-Pak® power film resistors from Caddock are pure tin free design for high performance industrial and military applications in TO-220 style power package with metal mounting tab. The resistance range is from 0.02Ω up to 10kΩ with a power rating of up to 20W at +25°C case temperature. 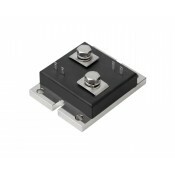 The MPM20 series tolerance is ±1.0% (±0.5% is available for most resistance values). 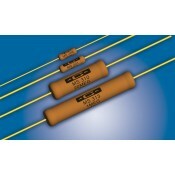 MPM20 series uses Caddock’s proven Micronox® resistance film system to provide a compact heat sink mountable resistor. The non-inductive design makes this resistor ideal in high frequency communications, power switching circuits and snubbers. Use your thermal design experience with power semiconductors in TO-220 style power packages. This experience will help you get the most out of this unique family of surface-mount power resistors. The thermal design issues are the same where power handling capability is based on the case temperature which is maintained in your design.